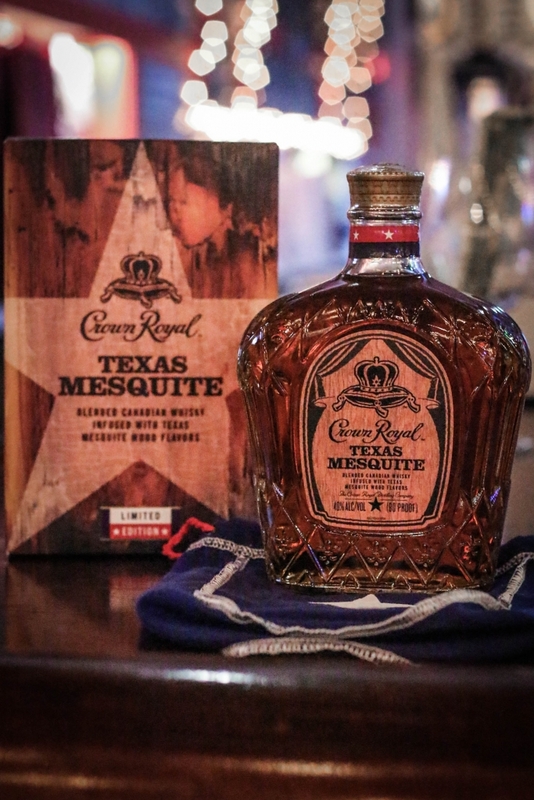 Crown Royal Texas Mesquite pays homage to two great Texas traditions, BBQ and Crown Royal. 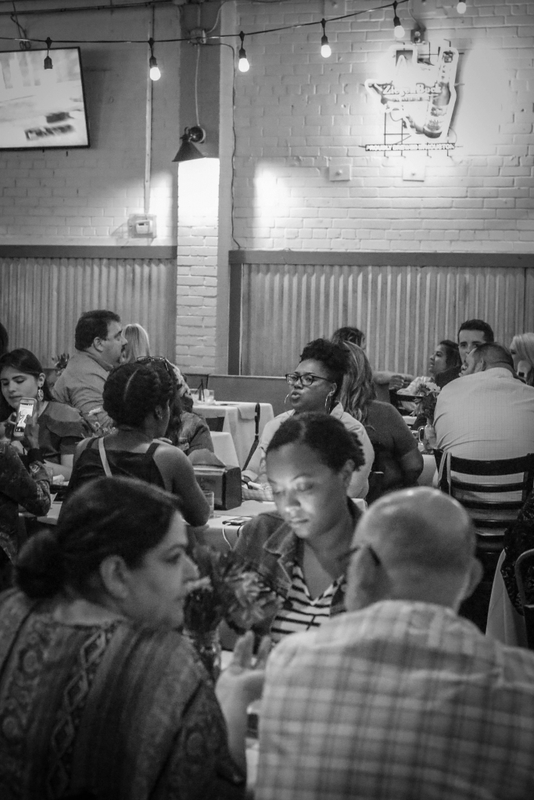 So it only seemed fitting that the night’s festivities would be hosted at one of the city’s most famous meat joints, Jackson Street BBQ. An endless supply of stellar BBQ fair like St. Louis style ribs, smoked brisket, and venison kolaches started the party off with a scrumptious bang as signature cocktails were served. I know what you’re thinking and don’t worry, the signature cocktail recipes are featured below. 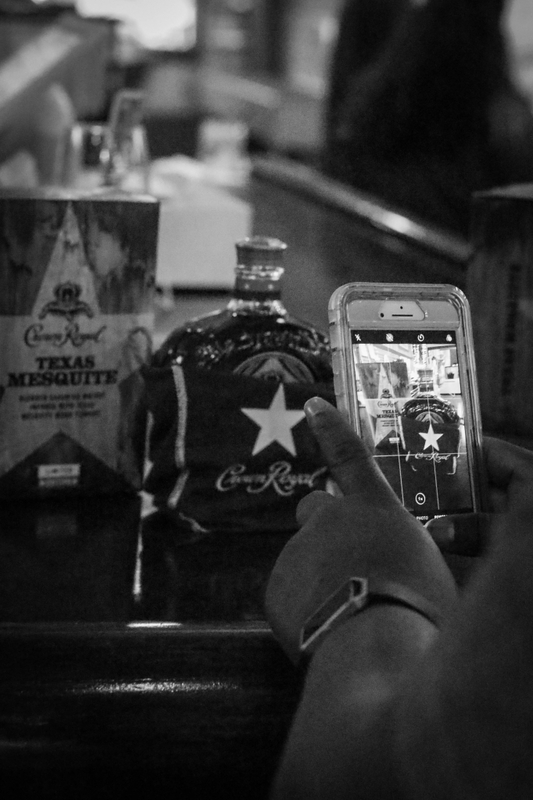 It was at this time that I got my first look at the rustically sleek bottle for Crown Royal Texas Mesquite. 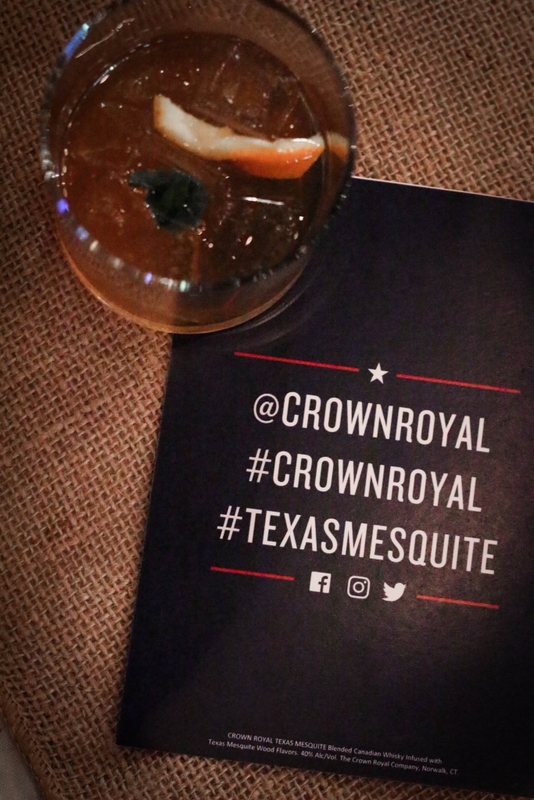 Crown Royal Texas Mesquite is a blend of Crown Royal Deluxe infused with the smoky soul of locally sourced Texas mesquite wood. 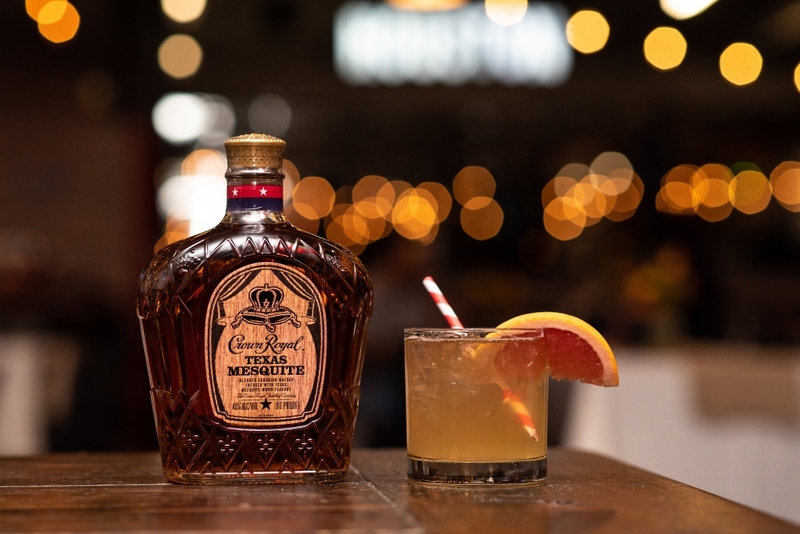 The result is a unique flavor that is smoky and spicy with the distinctive smoothness of Crown Royal. That’s the good news. 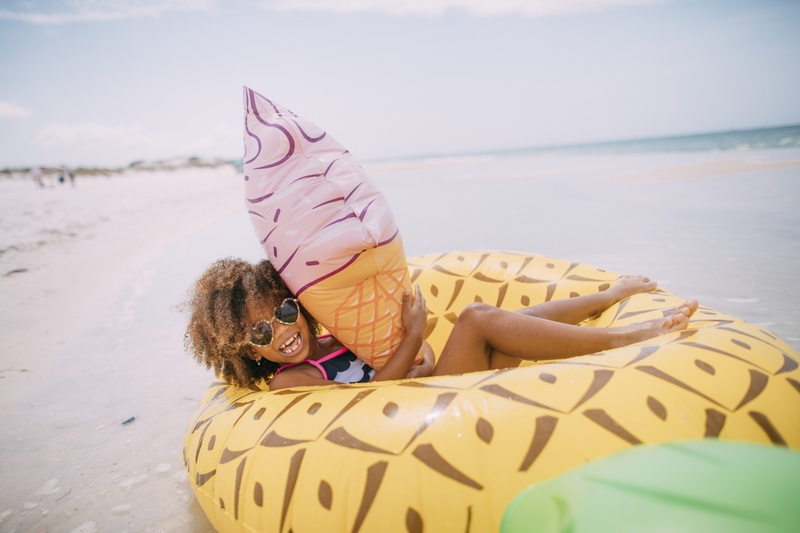 Now here’s the bad news: It’s only available this summer in Texas and other select markets nationwide beginning in mid-May. 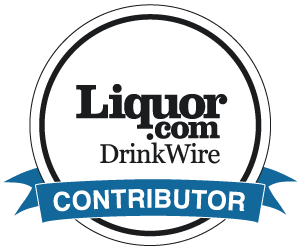 So, although that means that not all of you will be able to get your hands on a bottle, my hope is that those of you that can purchase Crown Royal Texas Mesquite, will! 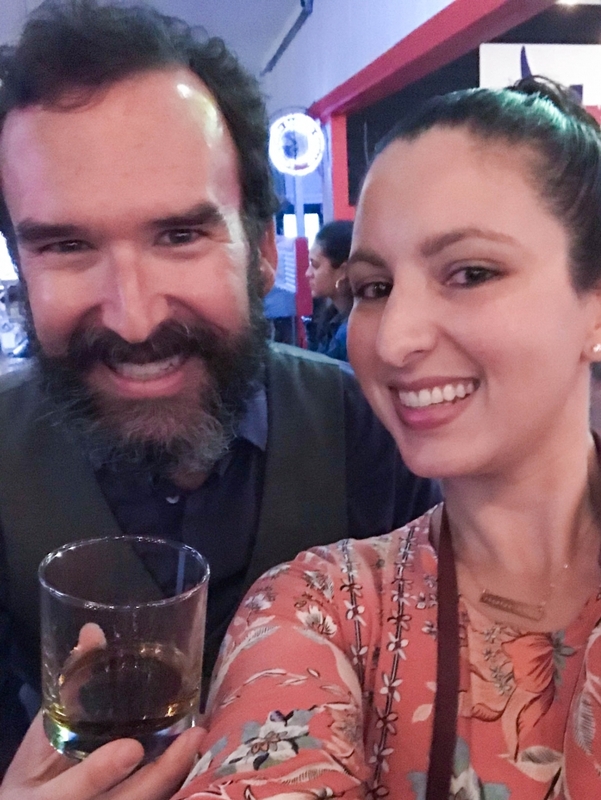 Once dinner started winding down, it was time for the real meat of the night… the whiskey tasting! It was my first unadulterated sip of the liquor and let me tell you, it’s fantastic. 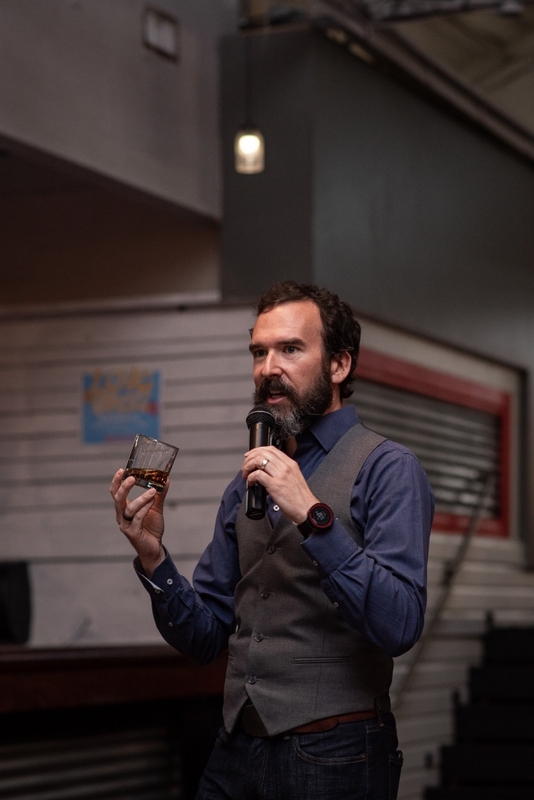 Crown Royal brand expert, Stephan Wilson led us through the proper way to taste and truly appreciate the smokiness of Texas Mesquite. 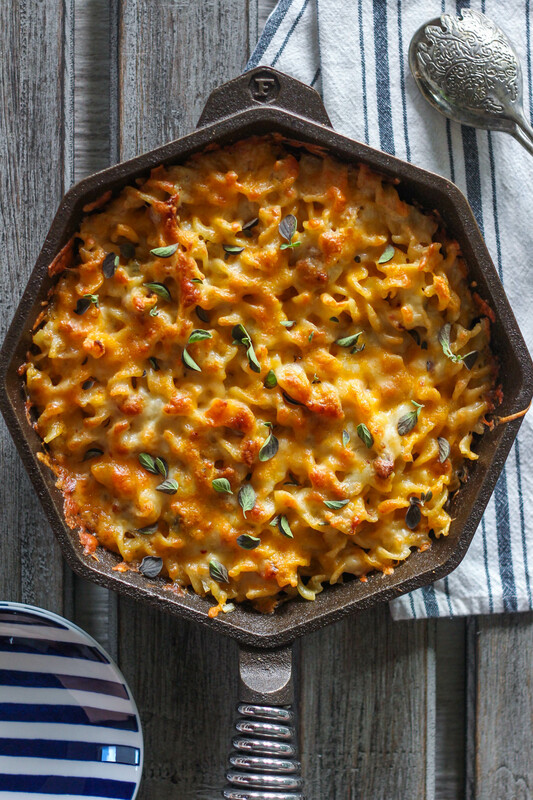 APPEARANCE: Golden brown with a slight red tint. 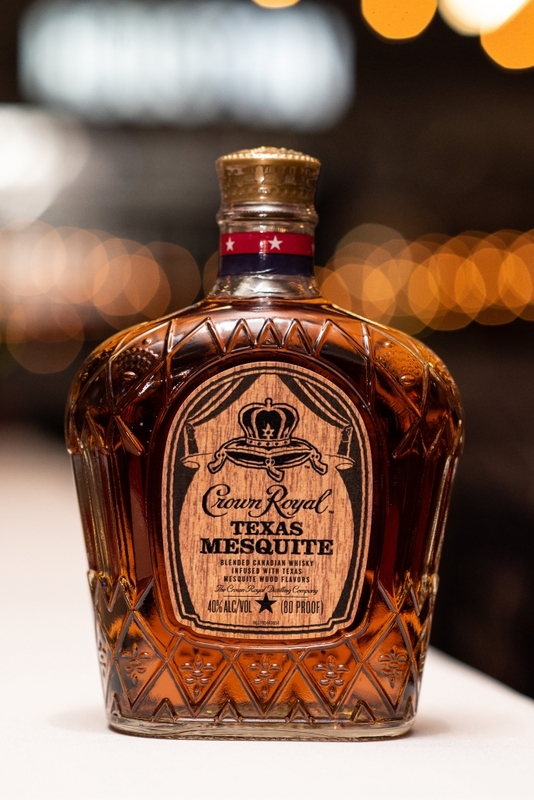 TASTE: Crown Royal Texas Mesquite opens with a smoky mesquite and oak avor backed by notes of creamy vanilla and caramel. 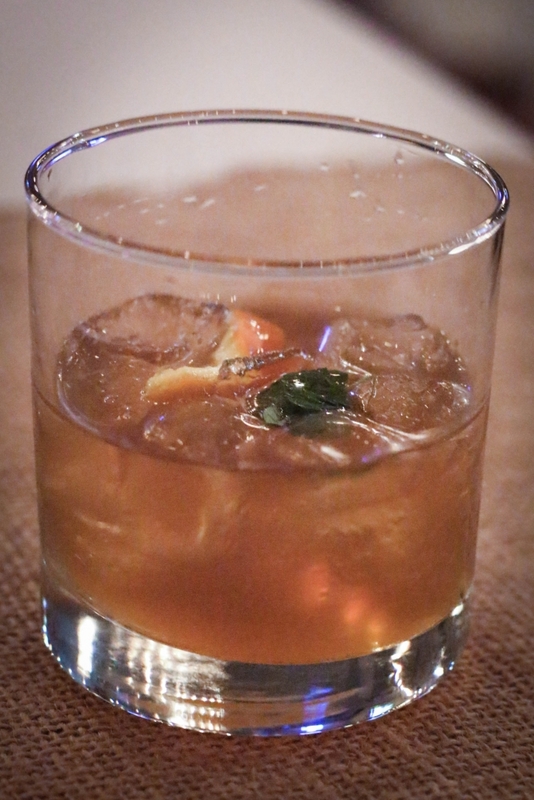 The nish is light and oaky with smoked mesquite and barbecue notes. 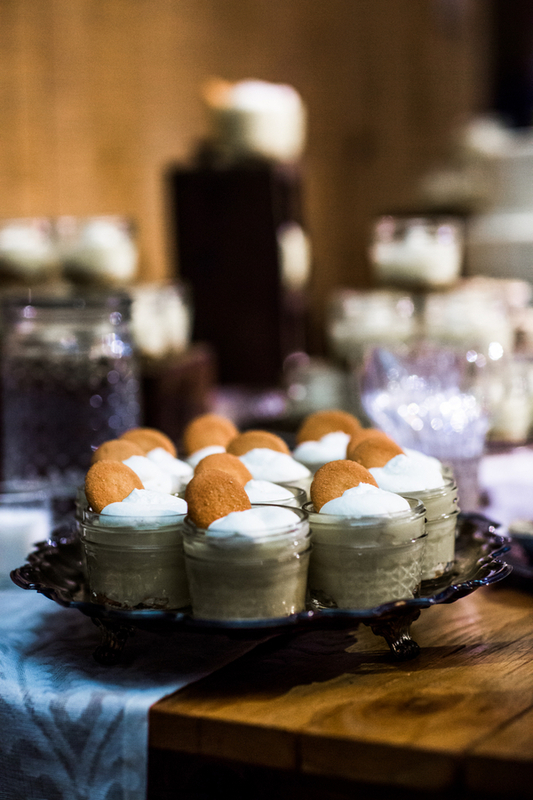 The rustic and re ned notes of smoke, molasses and wood are truly distinctive, yet familiar. 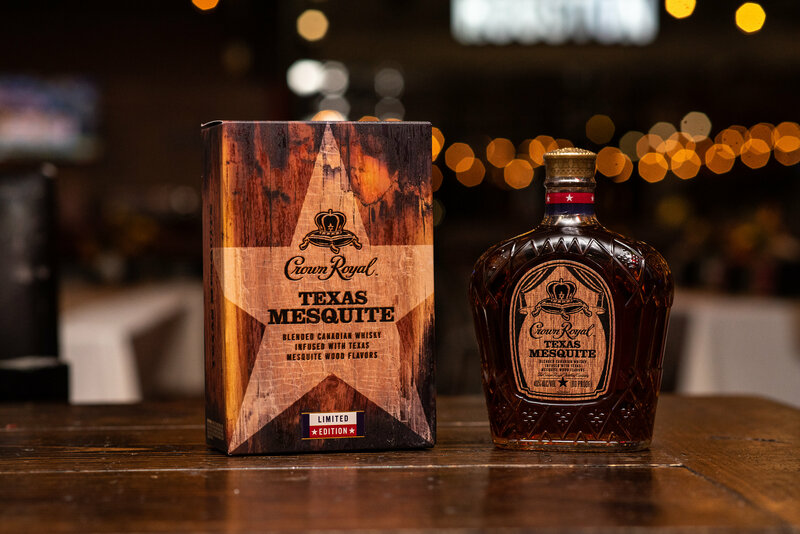 LOOK AND FEEL: The packaging for Texas Mesquite includes the signature box and felt bag that Crown Royal consumers have grown to know and love but with a homage to true Texas traditions. 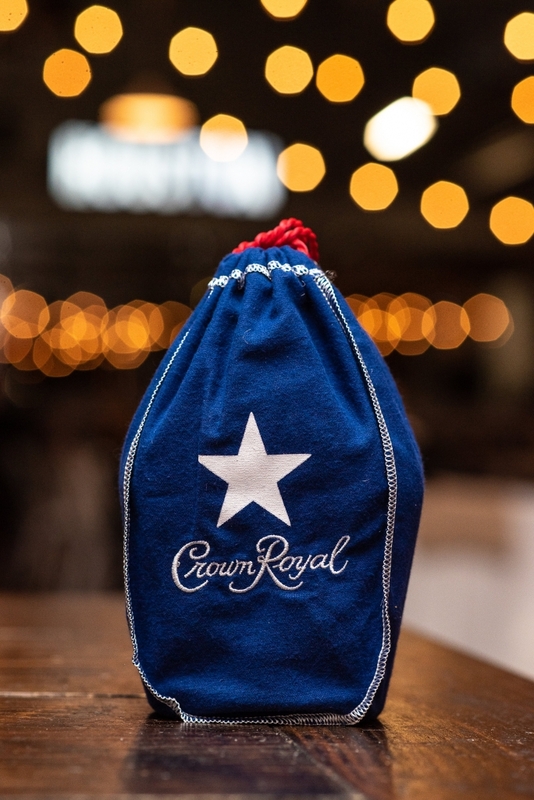 The rustic packaging incorporates red, white and blue hues with a lone star on the bottle’s bag. 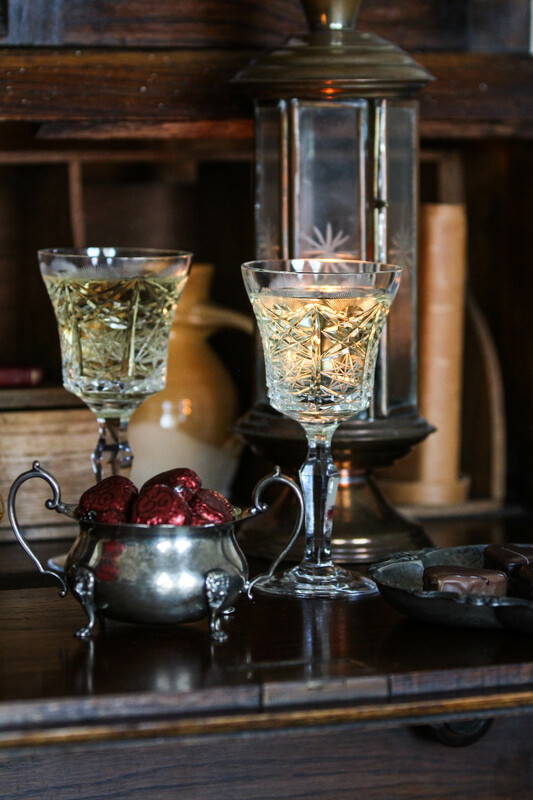 As promised, here are the recipes for the night’s signature cocktails. 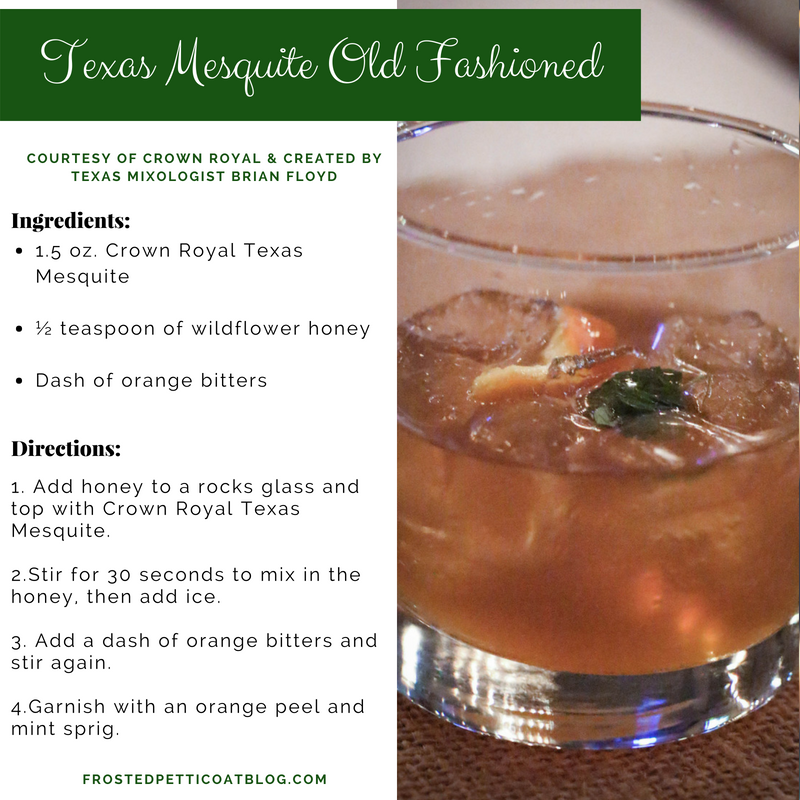 I highly suggest you get your hands on a bottle of Crown Royal Texas Mesquite and get to mixing, my friends! Now that all the business end has been taken care of, it’s time to party! You have the Crown Royal Texas Mesquite tasting notes, a small arsenal of signature cocktail recipes to go with the bottle, and now I leave you with the sweet music of the night’s entertainment. There you have it! 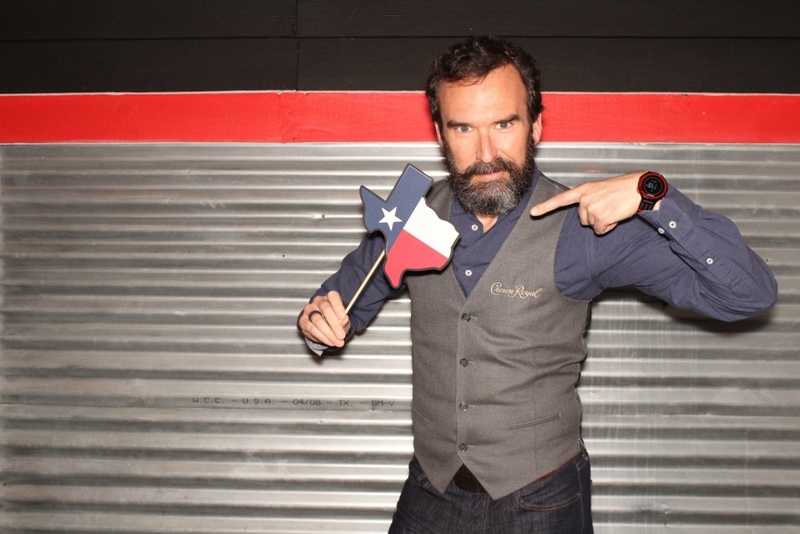 A thoroughly Texan launch party for a thoroughly Texan spirit. 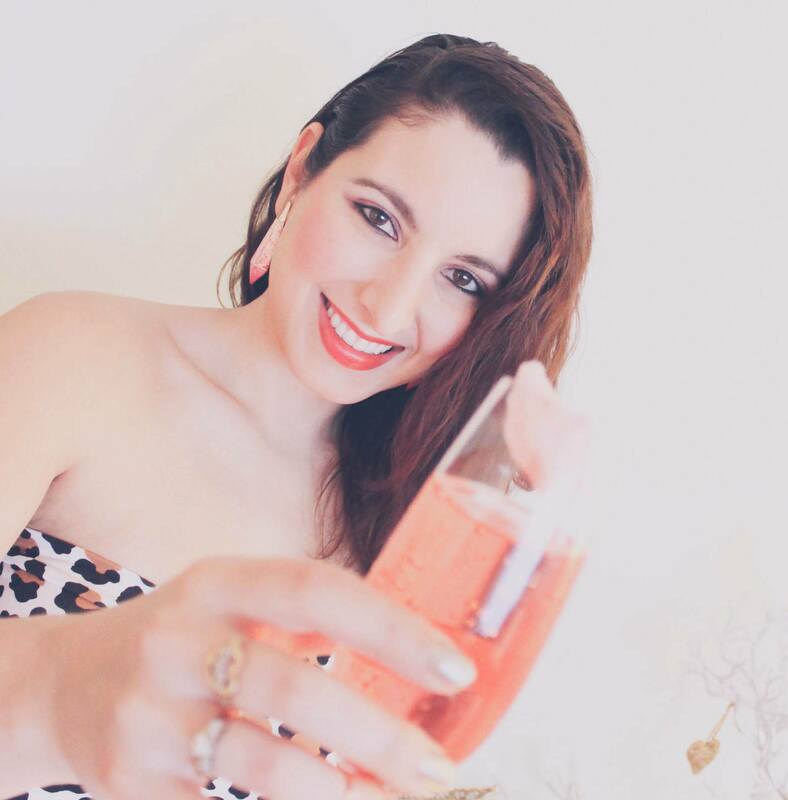 And since I am so lucky in my career, I want to extend that luck to one of you lovely readers by giving you the chance to receive a $50 Visa Gift Card. 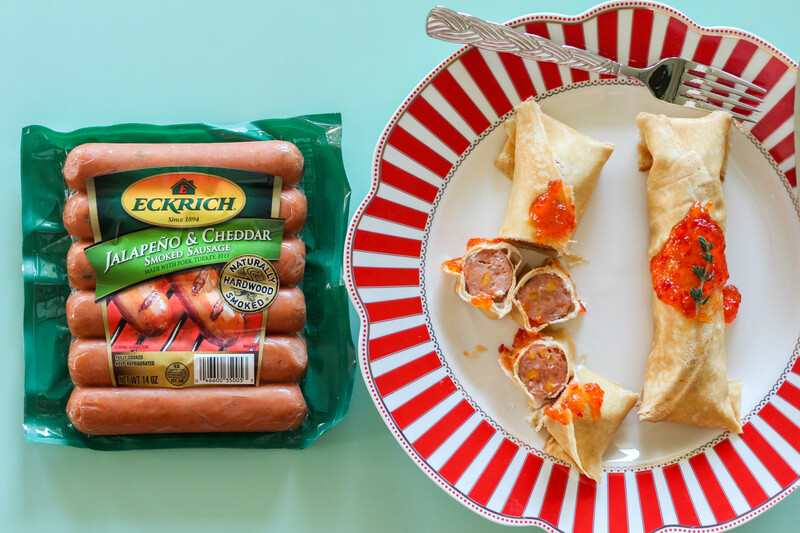 This way, you can throw your own Texan-style party with some BBQ and a bottle of Crown Royal Texas Mesquite. Enter below! Get more information on Crown Royal Texas Mesquite here and make sure to pick up a bottle of the limited edition gem before it’s too late! 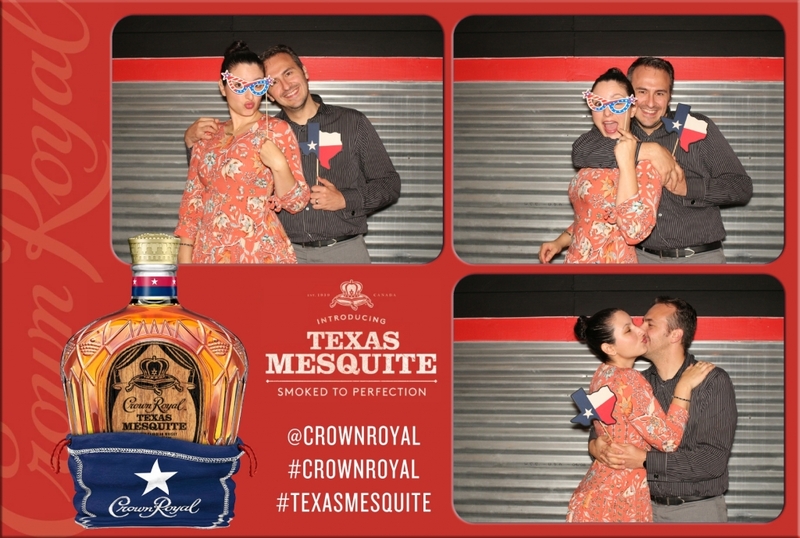 Special thanks to Crown Royal and ShutterBooth for providing promotional photos! They all sound great but Texas Mesquite Mule would be the first one I would try. 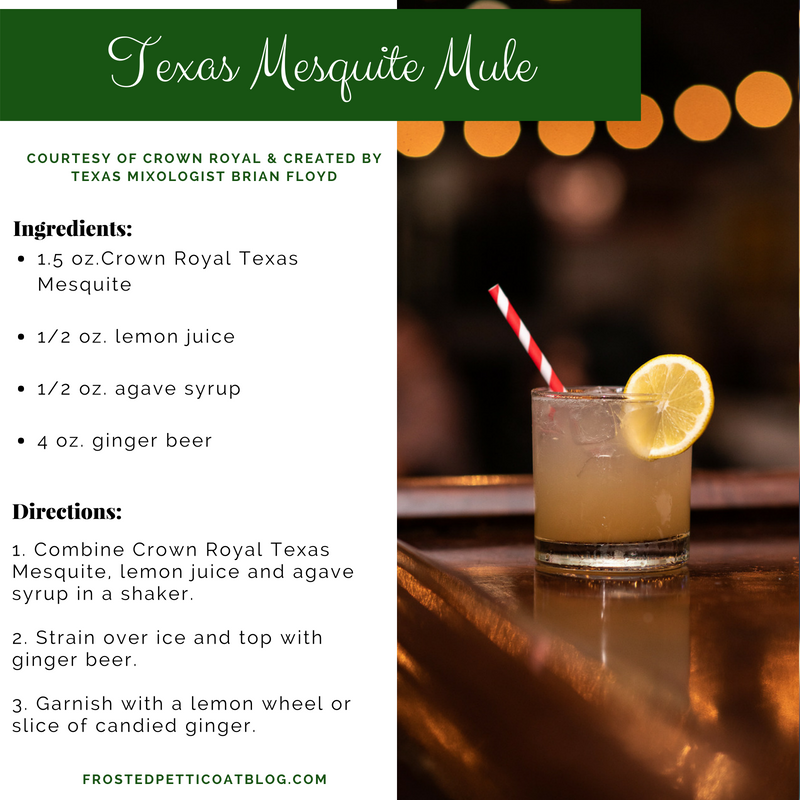 Texas Mesquite Mule sounds really good to me! 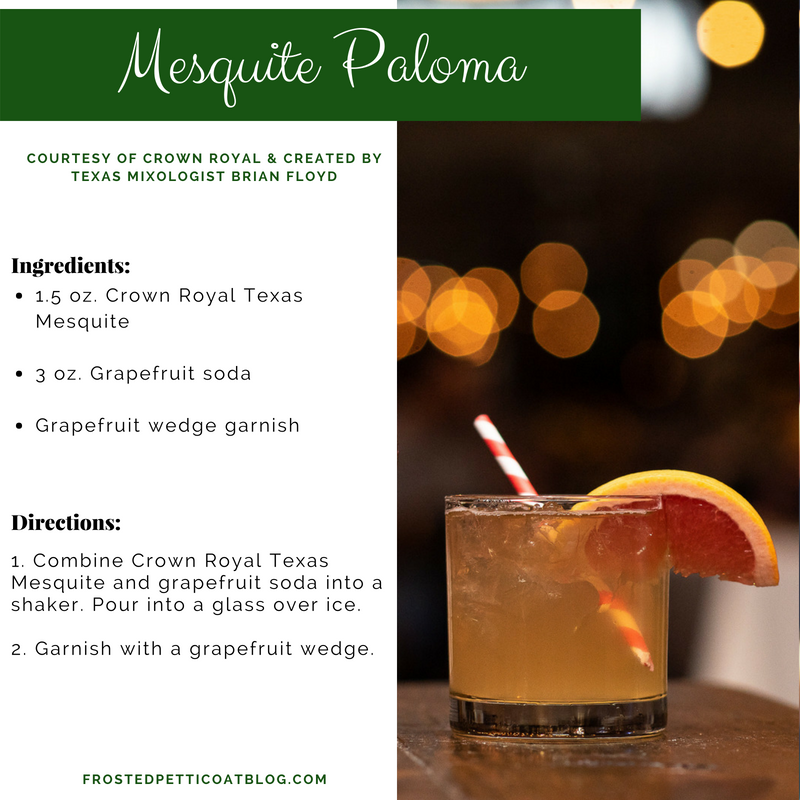 I’d like to try the mesquite paloma. I’d like to try the Old Fashioned. Thanks for the giveaway! 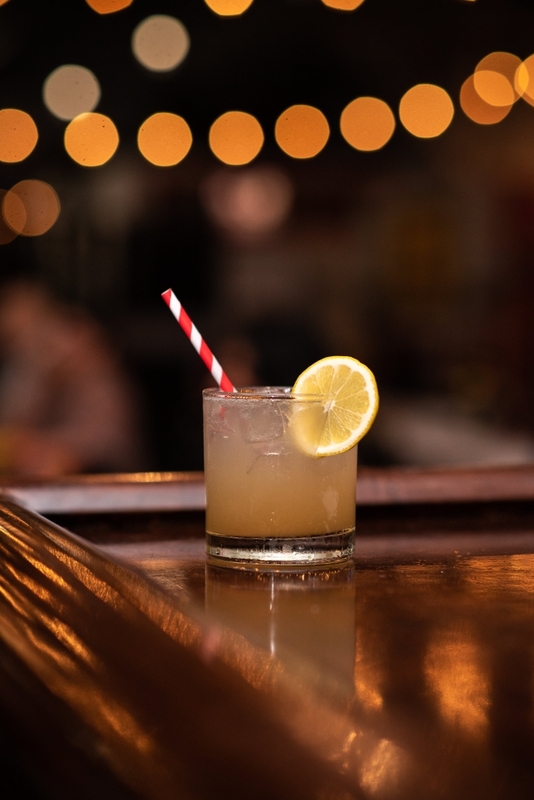 I would try the mesquite paloma. 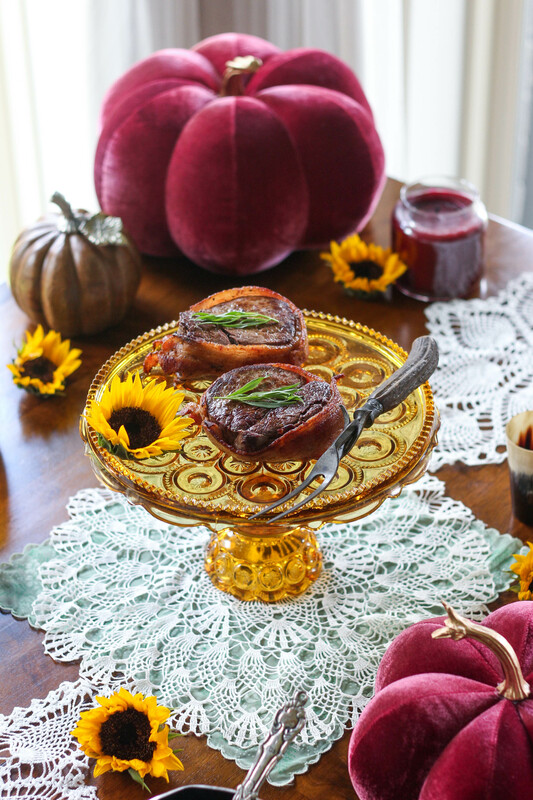 The grapefruit sounds good! I would like to try the old fashioned cocktail.